Golden Slipper runner-up Oohood (left) will run in the Silver Shadow Stakes at Randwick. Trainer Tony McEvoy will chase a two-state fillies stakes double in the Quezette Stakes in Melbourne and Silver Shadow Stakes in Sydney. 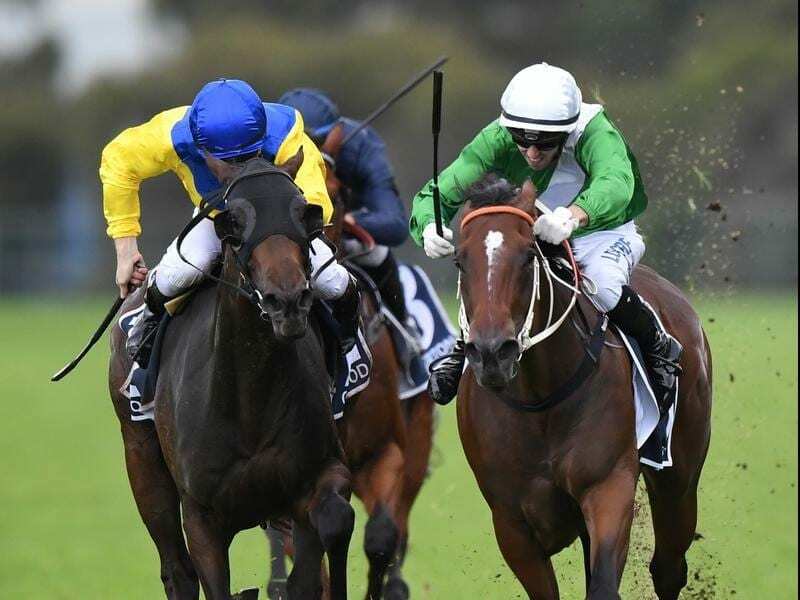 Oohood will try to shed her tag as arguably Australia’s best maiden when she resumes in Saturday’s Group Two Silver Shadow Stakes (1200m) at Rosehill. On the same day, Magic Millions winner and fellow Golden Slipper placegetter Sunlight returns to Melbourne racing in the Quezette Stakes (1100m) at Caulfield along with stablemate Belzella. Sunlight resumed from a spell in Adelaide on July 28 in the Listed Lightning Stakes (1050m) but was no match for Nature Strip who beat her by six lengths. Oohood was placed in six starts during her juvenile season including a third in the Group One Blue Diamond and seconds in the Group One Golden Slipper and Sires’ Produce Stakes. “She’s has come back super,” McEvoy said. Tim Clark takes the ride on Saturday with McEvoy planning to run Oohood in the first two legs of the four-race Princess Series for fillies leading up to the Group One Golden Rose (1400m). Oohood is then set to contest the final leg of the Princess Series, the Group One Flight Stakes (1600m). McEvoy expects Sunlight show her class in the Quezette. “Sunlight is fabulous,” he said. “She’s come out of the race against Nature Strip very well. It’s really improved her and she galloped beautifully at Flemington on Saturday morning. “I’m hoping you’ll see the old Sunlight. “I thought her run in Adelaide was fair. It was probably a touch below what I expected but the winner was amazing. He would have spanked anything that day. “It helped me forge my path with her. We’ll go against the three-year-olds, not against the older sprinters. Belzella won a Balaklava maiden last month at her second career start before finishing fourth at Moonee Valley on August 4 to the impressive Multaja. “It was a funny race at the Valley. Nothing crossed her and she had daylight the whole way and had to make an early run,” McEvoy said. “It just told on her at the end.